Ready to join a group of runners that will help you accomplish your fitness goals and help your community? Join us and run your first 5K and more. In our first three seasons, we're raised more than $100,000 for Michigan's neediest families. Sign up to join the team. 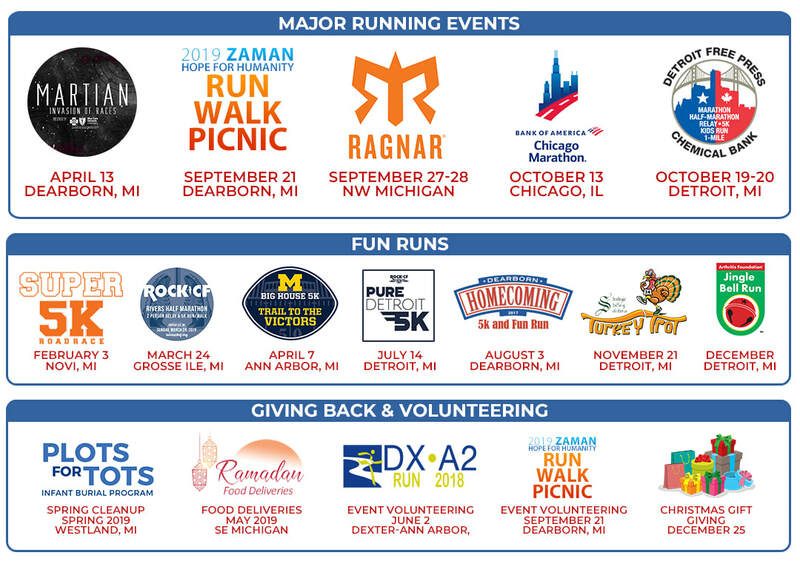 ﻿﻿We run in support of Zaman and its local and international mission to help those in need. We work to bring awareness and raise funds to help Zaman continue its programs.